It’s an unfortunate fact that we live in a world where many people live paycheck to paycheck, struggling to get by and never quite being able to climb out of that hole. Trying to improve your life through further education shouldn’t cripple you financially. Thankfully, it is becoming easier and easier to find distance education programs online, flexible enough to work into your schedule, and affordable enough to not break the bank. According to the Bureau of Labor Statistics, someone with an associate’s degree earns an average of $412 more per month than someone who only has a high school diploma. That’s an extra $4944 every year. To begin our search for the Top 20 Most Valuable Associate’s Degree Programs Online we went to the NCES College Navigator tool to filter United States colleges awarding Associate’s distance learning degrees. There’s more to picking a valuable school than affordability; only schools with more than 10 online Associates degree programs became eligible for the list. Each of those schools also had to be regionally accredited. With these factors in place we then compared the schools based on their average annual full time credit requirement multiplied by the per credit hour tuition rate. The 20 schools below came out on top. And every single one of them costs less than $4,944 a year. Founded in 1923 as Iola Junior College, Allen County Community College is a 2-year junior college with over 2,300 students between its two Kansas campuses. Allen Community College is accredited by The Higher Learning Commission (HLC), a commission of the North Central Association and the Kansas Board of Regents. Students can select from 33 online programs, including an Associate of Arts in Anthropology, an Associate of Applied Science in Business: Management Development, an Associate of Science in Information Technology, and an Associate of General Studies. Learn more about Premium Schools’ Valuable Associate’s Degree Programs Online at Allen County Community College here. Originally founded in 1961, Albany Technical College, in Georgia, has gone through a whole host of name changes over the years, from Monroe Area Vocational-Technical School to Albany Area Vocational-Technical School, then Albany Technical Institute, and finally to Albany Technical College in 2000. From its original class of 175 Albany Tech or ATC has steadily progressed to the point that it is home to over 3,300 students annually. Albany Technical College is accredited by the Southern Association of Colleges and Schools Commission on Colleges (SACS/COC). ATC offers 10 online Associate’s degree programs, including Associate of Applied Science in Business Administrative Technology, an Associate of Applied Science in Law Enforcement Technology, and an Associate of Applied Science in Hotel, Restaurant and Tourism Management. Learn more about Premium School’s Valuable Associate’s Degree Programs Online at Albany Technical College here. Located in Ann Arbor Township, Michigan, Washtenaw Community College is home to more than 12,000 students. Founded in 1965, WCC has expanded to encompass extension centers in Brighton and Hartland, as well as the Washtenaw Technical Middle College. Accredited by the Higher Learning Commission (HLC), WCC offers 14 online Associate’s degree programs, including an Associate of Applied Science in Occupational Studies, an Associate of Science in General Studies in Math and Natural Sciences, and an Associate of Arts in Secondary Education. Learn more about Premium Schools’ Valuable Associate’s Degree Programs Online at Washtenaw Community College here. Originally founded as Fairbury Junior College in Fairbury, Nebraska, the school suspended its operations for the duration of World War II and only reopened in 1946. By 1975 the school had expanded and reorganized as Southeast Community College, with campuses in Milford, Lincoln, and Fairbury (which later merged into their current Beatrice campus). Today, SCC is home to over 10,000 students between its three campuses, with 9,000 of those at the Lincoln campus. Southeast Community College offers 20 online Associate’s degree programs, including an Associate of Applied Science in Business Administration, an Associate of Arts, an Associate of Science in Pre Health, and an Associate of Applied Science in Fire and Emergency Services Management. Learn more about Premium Schools’ Valuable Associate’s Degree Programs Online at Southeast Community College here. Established in 1968, Southeast Area Vocational Technical School, in South Dakota, held its first classes in a wing of a local high school. Since then, Southeast Technical Institute has spent the last 49 years expanding into a regional center for workforce development, offering two-year technical degrees, diplomas, and certificates. Accredited by the Higher Learning Commission, Southeast Technical Institute has more than 2,000 students and a 15-1 student-to-faculty ratio. Students can choose from 14 online Associate’s degree programs, including an Associate of Applied Science in Entrepreneurship, an Associate of Applied Science in Accounting, and an Associate of Applied Science in Computer Programming. Learn more about Premium Schools’ Valuable Associate’s Degree Programs Online at Southeast Technical Institute here. Originally founded in 1967 as part of the Illinois Community College System, McHenry County College is located along U.S. Route 14, on the northwest side of charming city of Crystal Lake, Illinois. Accredited by the Higher Learning Commission of the North Central Association of Colleges and Schools, McHenry County College is home to more than 6,500 undergraduate students and has an 18-1 student-to-faculty ratio. McHenry currently offers 11 online Associate’s degree programs, including an Associate of Science – Area of Focus in Business, an Associate of General Education, and an Associate of Applied Science in Computer Information Systems. Learn more about Premium Schools’ Valuable Associate’s Degree Programs Online at McHenry County College here. Northeast Community College (NECC) was established by the state legislature in 1973, and is the only community college in Nebraska with liberal arts, 1-and 2-year vocational, and adult education programs all on one main campus. NECC is accredited by the Higher Learning Commission (HLC) and has over 5,000 students between its four locations. Students can choose from any of Northeast Community College’s 18 online Associate’s degree programs, including an Associate of Applied Science in Business, an Associate of Arts in Behavioral Science, and an Associate of Arts in Education Paraprofessional. Learn more about Premium Schools’ Valuable Associate’s Degree Programs Online at Northeast Community College here. As of its opening in 1964, Cochise College was one of the first community colleges in Arizona. Today it has a student population of over 4,400. In February 2016, Cochise College received the full accreditation of 10 years from the Higher Learning Commission. Cochise offers 10 online Associate’s degree programs at present, including an Associate of Arts in Psychology, an Associate of Arts in Economics, and an Associate of Applied Science in Intelligence Operations Studies. Learn more about Premium Schools’ Valuable Associate’s Degree Programs Online at Cochise College here. Founded as DeKalb College in 1958, the school eventually became part of the University System of Georgia in 1986. The college changed its name to Georgia Perimeter College in 1998. Today, the university has over 21,000 students, and a student-to-faculty ratio of 19-1; more than one-third of those teachers have earned their Doctorate. Georgia Perimeter College is accredited by the Southern Association of Colleges and Schools: Commission on Colleges (SACS-COC). At Georgia Perimeter College, students can choose from 27 online Associates degree programs, including Associate of Arts in Political Science, an Associate of Science in Kinesiology and Health – Personal Trainer, and an Associate of Arts in Journalism/Professional Writing Program. Learn more about Premium Schools’ Valuable Associate’s Degree Programs Online at Georgia Perimeter College here. Located in Elko, Nevada, Great Basin College originally opened its doors as Elko Community College in 1967. While its main campus is in Elko, Great Basin College has branch campuses in Battle Mountain, Ely, Pahrump, and Winnemucca. GBC is regionally accredited by the Northwest Commission on Colleges and Universities (NWCCU). Great Basin College has over 3,100 students and a student-to-faculty ratio of 16-1. At present, GBC offers 12 online Associate’s degrees for students to choose from, including an Associate of Arts in Computer Programming, an Associate of Applied Science in Graphic Communication, and an Associate of Applied Science in Entrepreneurship. Learn more about Premium Schools’ Valuable Associate’s Degree Programs Online at Great Basin College here. Truckee Meadows Community College is a 2-year, public community college located in Reno, Nevada, and is part of the Nevada System of Higher Education. From the time of its founding in 1971 to 1979, Truckee Meadows served as a branch of Western Nevada Community College (WNCC). 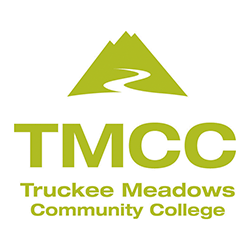 Between its five educational sites and more than 20 community locations, Truckee Meadows Community College annually serves over 25,000 students in credit and non-credit programs. Following an extensive review in 2015 the Northwest Commission on Colleges and Universities (NWCCU) reaffirmed TMCC’s accreditation status. TMCC currently offers a whopping 42 online Associates degree programs, including an Associate of Arts in Logistics Management, an Associate of Applied Science in Dental Assisting, and an Associate of Applied Science in Energy Technology. Learn more about Premium Schools’ Valuable Associate’s Degree Programs Online at Truckee Meadows Community College here. The College of Southern Nevada (CSN) is a 2-year college in Clark County, Nevada. It is the largest public higher education institution in Nevada and is part of the Nevada System of Higher Education. While having over 33,000 students, CSN maintains one of the highest student-to-faculty ratios on this list: 22-1. Since 1975 the College of Southern Nevada has been continuously accredited by the Northwest Commission on Colleges and Universities (NWCCU). Students can choose from one of CSN’s 18 online Associate’s degree programs, including an Associate of Applied Science – Criminal Justice Law Enforcement Emphasis, an Associate of Arts with History Emphasis, and an Associate of Arts with a Communication Emphasis. Learn more about Premium Schols’ Valuable Associate’s Degree Programs Online at the College of Southern Nevada here. Originally founded as Arkansas City Junior College (ACJC), its first class began on Sept. 11, 1922. Those first classes were actually held on the top floor of a local high school; however they were later moved to the school’s basement, earning ACJC the unfortunately nickname “Basement University.” Far removed from the basement, Crowley Community College now serves over 3,000 students and has a remarkable online presence. Cowley County Community College and Area Vocational-Technical School is fully accredited by the Higher Learning Commission. Crowley College offers 36 online Associate’s degree programs, including an Associate of Applied Science in Medical Transcription, Associate of Arts in Law – Pre, and an Associate of General Studies in Equine Management. Learn more about Premium Schools’ Valuable Associate’s Degree Programs Online at Cowley County Community College here. Metropolitan Community College, located in Omaha, is Nebraska’s largest community college, and the second largest post-secondary educational institution. Founded in 1974 by the Nebraska State Legislature, today MCC serves more than 40,000 unique credit and noncredit students annually. Metropolitan Community College is accredited by the Higher Learning Commission (HLC), but many of their individual programs are accredited by different groups. MCC offers 22 online Associate’s degree programs, including an Associate of Applied Science in Information Technology – Server Administration, an Associate of Applied Science in Criminal Justice – Law Enforcement, and an Associate of Applied Science in Healthcare Administration and Information. Learn more about Premium Schools’ Valuable Associate’s Degree Programs Online at Metropolitan Community College here. Established in 1946, Navarro College is a 2-year accredited, state-of-Texas supported, community college that serves over 14,000 students. Navarro College has campuses in Corsicana, Waxahachie, Midlothian, Mexia, and Fairfield. Navarro College is accredited by the Southern Association of Colleges and Schools: Commission on Colleges (SACS-COC). Navarro Currently offers 10 online Associate’s degree programs, including an Associate of Applied Science in Criminal Justice, an Associate of Science in Psychology, an Associate of Applied Science in Business Administration, and an Associate of Arts in Speech. Learn more about Premium Schools’ Valuable Associate’s Degree Programs Online at Navarro College here. Hutchinson Community College, of Kansas, was founded in 1928, when Hutchinson voters approved the foundation of a 2-year co-educational college known as the Hutchinson Junior College. Later that same year, Hutchinson’s first classes took place, with a total enrollment of 187 students – 172 freshmen and 15 sophomores. Today, Hutchinson Community College is accredited by the Higher Learning Commission (HLC) and annually serves more than 5,500 students, and has a student-to-faculty ratio of 15-1. Students can select from HCC’s 12 online Associate’s degree programs, including an Associate of Applied Science in Health Information Management, an Associate of Arts with an Emphasis in Business, and an Associate of Applied Science in Paralegal/Legal Assistant. Learn more about Premium Schools’ Valuable Associate’s Degree Programs Online at Hutchinson Community College here. Northcentral Technical College was founded in 1912, in Wisconsin, as the Wausau Industrial School. Over the course of the next 76 years it would go through three separate name changes before finally settling on Northcentral Technical College in 1988. NTC is accredited by the Higher Learning Commission (HLC) and annually serves over 4,500 students. Northcentral Technical College currently has 10 online Associate’s degree programs, including an Associate of Applied Science in Small Business Entrepreneurship, an Associate of Applied Science in Supervisory Management, and an Associate of Applied Science in Applied Engineering Technology – Industrial Concentration. Learn more about Premium Schools’ Valuable Associate’s Degree Programs Online at Northcentral Technical College here. Located in Glen Ellyn, Illinois, the College of DuPage is a 2-year community college that also has facilities in Addison, Carol Stream, Naperville and Westmont. College of DuPage (COD) is accredited by the Higher Learning Commission (HLC). It should be noted that the College of DuPage was placed on probation on December 9, 2015, by the Higher Learning Commission Board of Trustees Click here to read the Higher Learning Commission Public Disclosure Notice. While they are on probation, COD still maintains its accreditation. 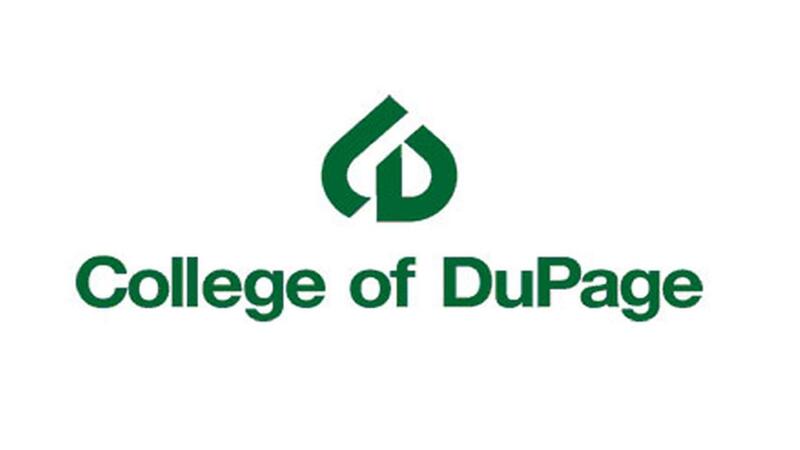 The College of DuPage currently offers 11 online Associate’s degree programs, including an Associate of Applied Science in Administrative Assistant, an Associate of Applied Science in Fire Science Technology, and an Associate of Applied Science in Library and Information Technology. Learn more about Premium Schools’ Valuable Associate’s Degree Programs Online at the College of DuPage here. Founded in 1906, Dakota College at Bottineau’s 35-acre campus is located on the northern edge of the city of Bottineau in north central North Dakota near the Turtle Mountains. DCB is accredited by the Higher Learning Commission (HLC). The library of Dakota College at Bottineau houses over 36,000 volumes and is a member of ODIN, the Online Dakota Information Network. Dakota College at Bottineau has 11 online Associate’s degree programs to choose from, including an Associate of Applied Science in Administrative Assistant, an Associate of Applied Science in Advertising and Marketing, and an Associate of Applied Science in Urban Forest Management. Learn more about Premium Schools’ Valuable Associate’s Degree Programs Online at Dakota College at Bottineau here. Established in 1966, Atlantic Cape Community College is a 2-year, public, community college located in both Atlantic County and Cape May County, New Jersey. Atlantic Cape was the first community college in New Jersey to offer a full degree program at a distance. This came about, in part, due to the casino industry, where rotating shifts make attending a traditional college class incredibly difficult. Atlantic Cape is accredited by the Middle States Commission on Higher Education, and serves more than 6,300 students. At Atlantic Cape Community College students can choose from 13 online Associate’s degree programs, including an Associate of Applied Science in Computer Systems Support, an Associate of Science in Computer Information Systems, and an Associate of Arts in Liberal Arts – Sociology. Learn more about Premium Schools’ Valuable Associate’s Degree Programs Online at Atlantic Cape Community College here.